Like us, you are no doubt looking forward to the Auction being held at Heythrop Park as part of the JEC Festival. It is always instructive to know what other recent auctions of Jaguars have achieved. There was a classic & vintage cars auction this week at Bicester Heritage and there was recently another CCA sale at the NEC. There were 6 Jaguar lots at Bicester: a 1953 XK120 SE (estimate of £110,000), a 1961 Series 1 3.8 ‘flat floor’ Roadster E-Type (£65,000), a 1973 S3 V12 Roadster E-Type (£80,000), a 1976 4.2 XJC (£23,000), an XK8 convertible (£11,000) and a XKR convertible (£6,500). Whilst the XJC and XK120 both went unsold, the remaining 4 cars either very nearly met, met or exceeded their auctioneer’s estimates. The star of the day was undoubtedly the XKR that went for a premium over its estimate at £6500, reflecting its one owner, full service history, low mileage and immaculate condition. In these times it goes to show that there are good deals to be had, especially for what could be called ‘modern classics’ with that grace and pace we all admire. But there are also some great cars ‘classics’ up for auction too with Silverstone Auctions at Heythrop Park. 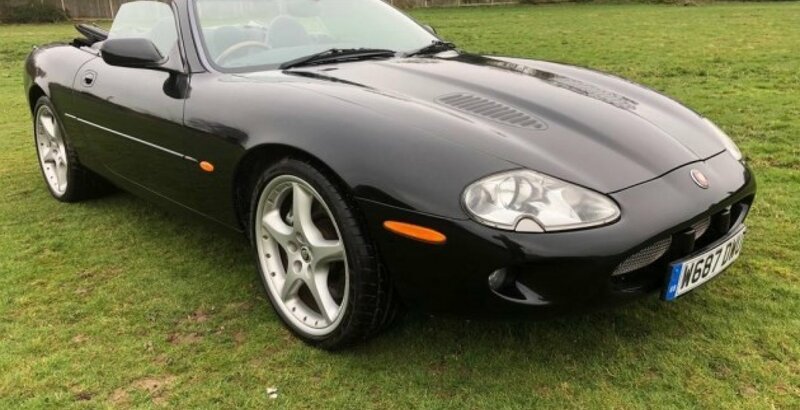 The Silverstone Auctions Sale of British Marques takes place at Heythrop Park, OX7 5UF, at 14:00 on Saturday 11th May as well as a sale on Friday 10th may again at Heythrop. Viewing will be available from noon on Friday 10th May and on the Saturday morning. All JEC members get free entry into this Heythrop sale with a valid membership card.